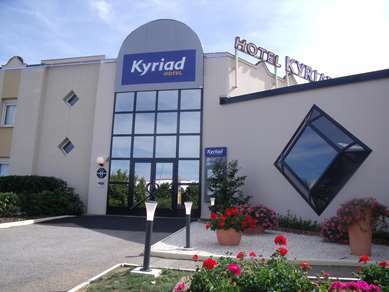 The hotel was completely renovated in 2015! Stay in green surroundings near Lake Uzurat and Moulin Pinard park. Just 100 metres from the Parc des Expositions and 400 m from the Zenith, our 3-star hotel offers high quality services to both tourists and business travellers. 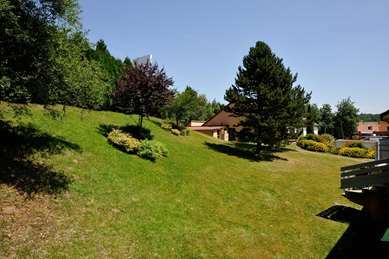 The city centre and the Limoges SNCF railway station are a 10-minute drive away. 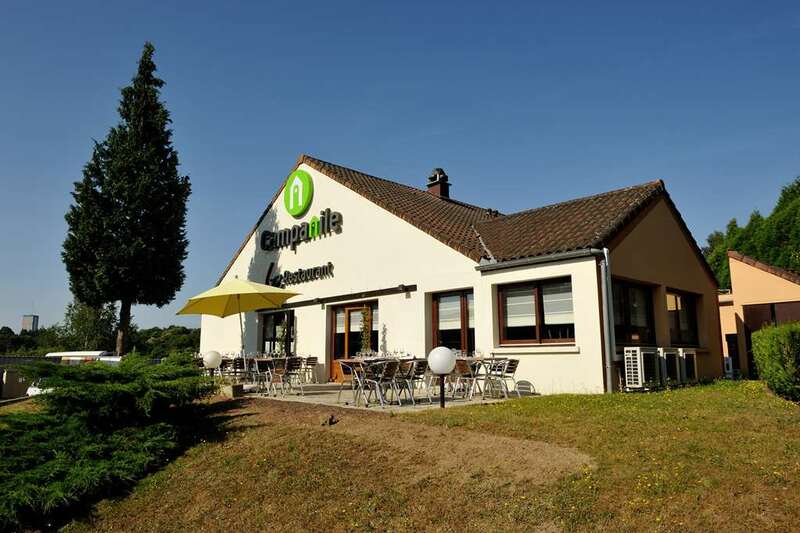 Easily accessible from the A20 motorway, the Hotel Campanile *** Limoges Nord has 43 next generation rooms available. They can accommodate up to 4 people and are air-conditioned and soundproofed. 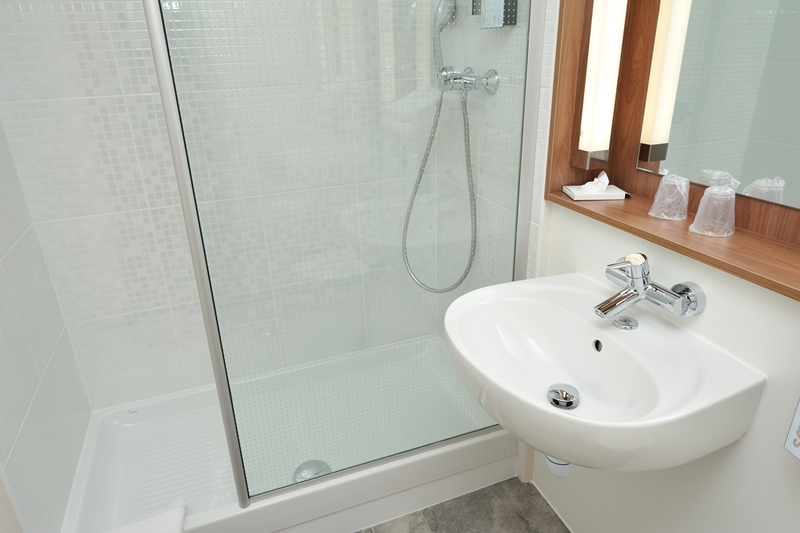 Some rooms are equipped for people of reduced mobility. 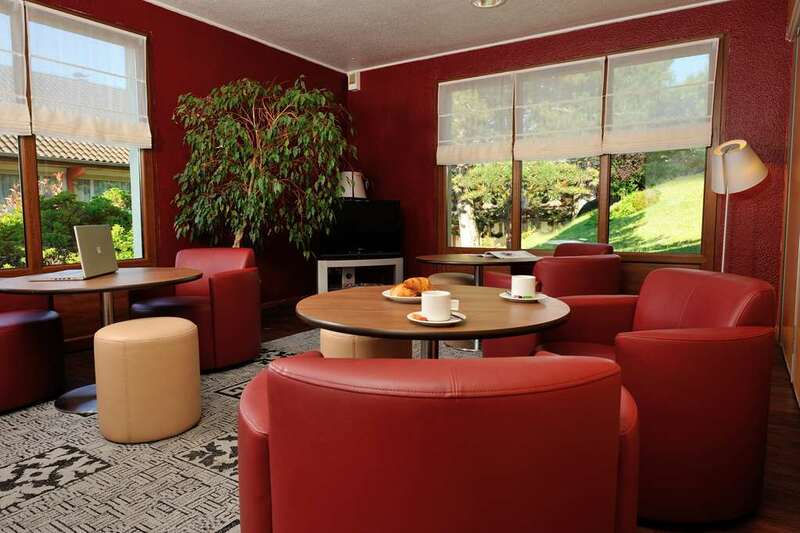 Each room offers modern decor, a comfortable work space and unlimited free Wi-Fi. 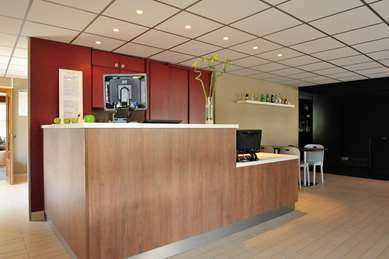 A hospitality tray and satellite TV with Canal + and BeIN Sports are available, allowing you to relax after a long day's drive or work. 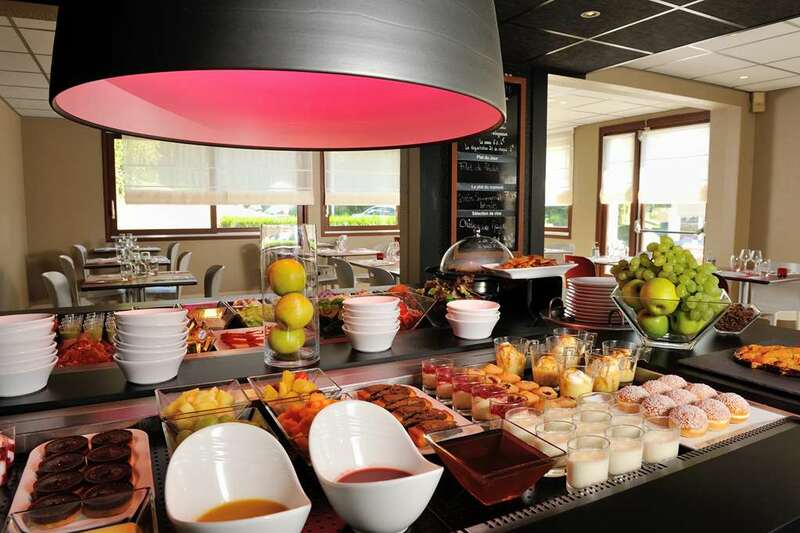 Recharge your batteries right from breakfast. Every morning an ample buffet is served from 6:30 to 9:00. With its shaded terrace, our restaurant is open every day for lunch and dinner. Discover our regional delicacies, light recipes and tasty homemade dishes. Guests can choose self-service buffets, children's menus and à la carte dishes. 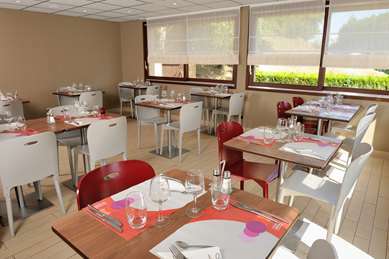 Organise your seminars and corporate events in a fully equipped meeting room at the Hotel Campanile Limoges Nord. 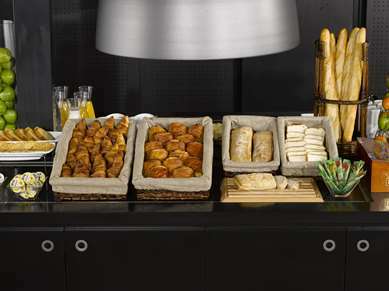 At your disposal: video projector, flipchart, Wi-Fi, coffee on arrival and snack breaks. Check out our study day packages with lunch. The hotel also has a TV lounge and free Wi-Fi in all areas. Our friendly staff welcome you from 6:30 am on weekdays and from 8 am on weekends. The hotel is ideally located for you to explore everything in our beautiful region, its porcelain, its enamelware, and the village of Oradour-sur-Glane, 20 minutes away by car. 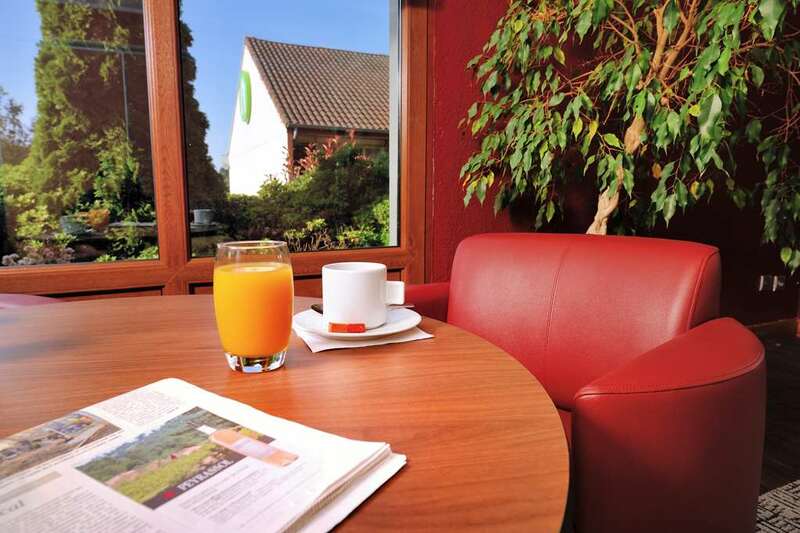 With 43 comfortable and fully equipped rooms, everything is designed for you to enjoy relaxation, freedom and efficiency if you are on a business trip. 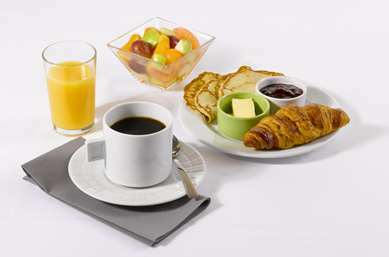 A complimentary tray with a kettle, tea, coffee and selection of cakes is available every day in your room. 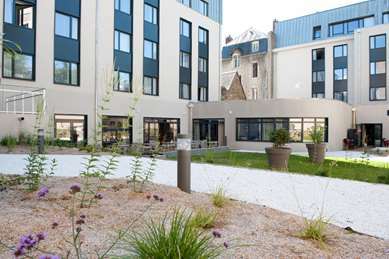 For your maximum comfort, each room is equipped with a flat screen television with Canal+ and BeIN Sports, a work station and direct line telephone. 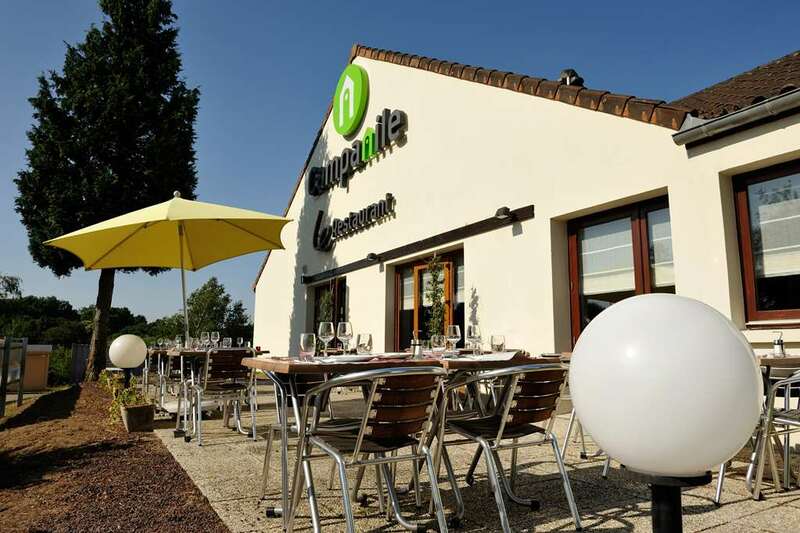 Campanile LIMOGES NORD offers regional, traditional, light or family-style cuisine. From Orleans via A20: exit 30, then 2nd right, direction ZI Nord. From Brive/Toulouse via A20: exit 31, then direction Lac Uzurat. From Limoges Centre: direction ZI Nord. 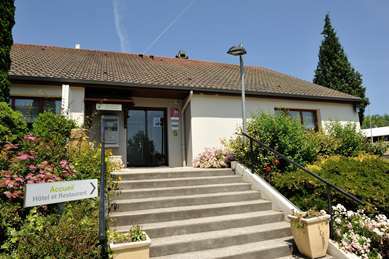 From Angouleme and Poitiers: take the A20 towards Brive/Toulouse, exit 30, then 2nd right, direction ZI Nord.